Just Roll With It - A Dungeons and Dragons Podcast | Listen Free on Castbox. Welcome to Just Roll With It! This is a D&D 5E Real Play podcast where five friends and Slimecicle share a laugh, collaboratively tell a story, and probably cry at the end. This podcast uses D&D to combine interactive storytelling with improvisational comedy in what will be a memorable tale of five legendary adventurers. At least, I hope so... but let's Just Roll With It. With a new world in front of them, The Fools become The Fated. Taxi gets a weird dog, Br'aad commits a crime, Mountain gets drunk, Velrisa gets a new haircut, and Sylnan is right handed. This crew of curiously intertwined adventurers has caused more than enough trouble since they first met. However, they finally overcome their biggest challenge and set out to start fresh. What journey awaits these fated few? The party ventures down even further into the depths to try and bring back a fallen friend, and come face to face with their greatest threat yet. Things might be looking bad, but in the end brothers will always help brothers.Become a supporter on Patreon: https://www.patreon.com/JustRollWithIt.You can help us improve the show and feature your own ideas in the campaign! Into the city our heroes embark, with something etched in their minds: "Stay out of the dark. "Become a supporter on Patreon: https://www.patreon.com/JustRollWithIt.You can help us improve the show and feature your own ideas in the campaign! The party makes one last dark descent, and mountain does what he needs to mountain do. 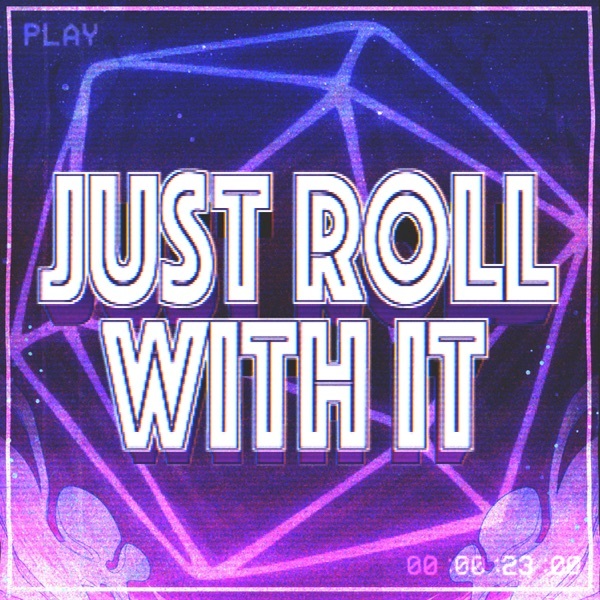 Become a supporter on Patreon: https://www.patreon.com/JustRollWithIt.You can help us improve the show and feature your own ideas in the campaign! A nightmarish disaster unfolds before the party.Become a supporter on Patreon: https://www.patreon.com/JustRollWithIt.You can help us improve the show and feature your own ideas in the campaign! The rambunctious rejects run through rigorous runways right into ridiculous ramifications.Become a supporter on Patreon: https://www.patreon.com/JustRollWithIt.You can help us improve the show and feature your own ideas in the campaign! The gang gears up to go after getting grapes, giving up the ghost, and being graced by a gift.Become a supporter on Patreon: https://www.patreon.com/JustRollWithIt.You can help us improve the show and feature your own ideas in the campaign! Follow me! Set me free! Trust me and we will escape from the city!Become a supporter on Patreon: https://www.patreon.com/JustRollWithIt.You can help us improve the show and feature your own ideas in the campaign!